Following last year's opening of the Duncan Re-Store, Habitat for Humanity's newly appointed Executive Director will chat a little about their work in Cowichan and Mid-Vancouver Island as well as some of the exciting initiatives they have on the horizon. Learn about opportunities to promote your company's profile and positively impact the community through partnership opportunties with the organization. The Lunch N Learn will be held at the Cowichan Intercultural Society. Parking and entrance are on St. Julian Street. Bring your own lunch. Space is limited so please register in advance by clicking on the "REGISTER NOW" button above. Members can register by signing in through the Member Information Centre (MIC). 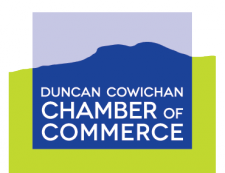 If you have forgotten your login/password, please email chamber@duncancc.bc.ca for assistance.